World Finance: "Master then servant". Neal Ascherson in London Review of Books, "Memories of Amikejo". Megan McArdle in Atlantic, "Europe’s Real Crisis". Mark Helprin in WSJ, "Obama’s Europa Complex". Philippe Maniere in FT, "France is the source of its problems". Ghania Khelifi at Qantara.de, "A Pact against Memory". 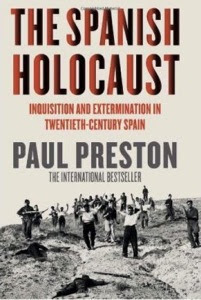 Timothy Snyder in New Republic on Paul Preston’s book, The Spanish Holocaust: Inquisition and Extermination in Twentieth-Century Spain. Philip Mansel in Le Monde diplomatique, "We are all Levantines now". Anatol Lieven in FT, "An end to illusion". Ajit Kumar Singh at Satp.org, "Gilgit-Baltistan: Orchestrated Strife". 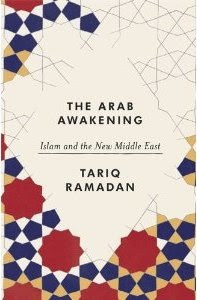 Ed Husain in FT on Tariq Ramadan’s book, The Arab Awakening. “I owe Ramadan a debt of gratitude. His books helped me, and thousands of others, to reconcile our Islamic and western heritages. But The Arab Awakening left a bitter taste. 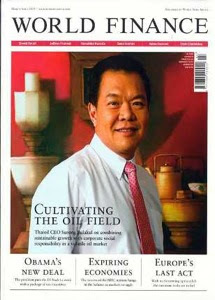 Raymond Ibrahim in meforum.org, "Courtroom Terror". “In other words, terrorism is not just limited to 9/11-type strikes, but involves intimidating, bullying, threatening, etc. -- precisely what happened at this courthouse trial. Those making the death threats, physically assaulting others with clubs, and otherwise engaging in terrorist behavior were ‘more than 300 Muslim lawyers’; not jihadis or fugitives hiding out in caves, but lawyers. The attacks on fellow Muslim lawyers who merely sought to represent the condemned Christian is in keeping with Islam's doctrines of loyalty and disloyalty, which command Muslims always to side with fellow Muslims, while having enmity for non-Muslim infidels -- certainly those perceived to have insulted their prophet. David Samuels in WSJ, "The New Mastermind of Jihad". Eric Trager in New Republic, "The Muslim Brotherhood’s Mendacious Charm Campaign in Washington". Sabine Ripperger at Qantara.de, "Homophobia among Muslim Students in Germany". Michael Peel in FT, "How to compete with a generous public sector". Steven Malanga in WSJ, "How Stockton, California Went Broke in Plain Sight". Wendell Cox in WSJ, "California Declares War on Suburbia". MercoPress: "Guess why Argentina restricts book imports?". Gordon Crovitz in WSJ, "Could Morse Have Patented the Web?". Patti Waldmeir in FT, "Villagers fight over ‘patents’ in rural China". Jamil Anderlini & Sally Gainsbury in FT, "A chilling end in Chongqing". Jane Perlez in NYT, "Chinese Insider Offers Rare Glimpse of U.S.-China Frictions". James Taranto at WSJ.com, "Leonid Brezhnev Lives". Christopher Caldwell in FT, "Groupthink is no match for individual genius". Lucy Kellaway in FT, "The female of the species is more scary than the male". Kate Carraway at Vice.com, "Girls and Giving Up". 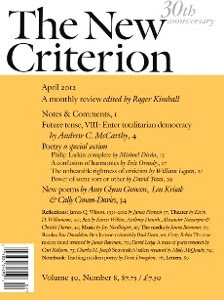 James Bowman in New Criterion, "What nice girls aren’t". George Walden in Standpoint, "Beware the Fausts of Neuroscience". 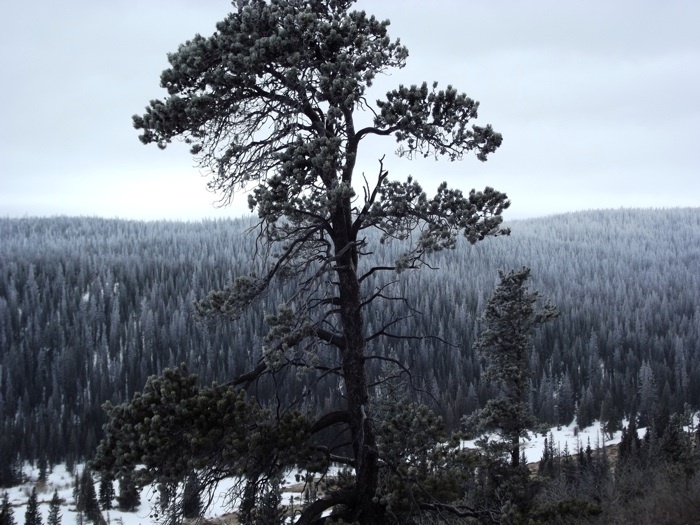 Kevin Clarke & David Primo in NYT, "Overcoming ‘Physics Envy’". Andrew Ferguson in Weekly Standard, "Allan Bloom’s ‘Closing of the American Mind’ 25 years later". Fred Siegel in Commentary, "How Highbrows Killed Culture". 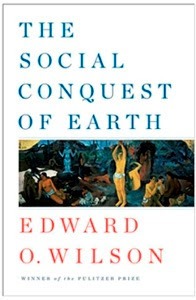 Michael Gazzaniga in WSJ on Edward O. Wilson’s book, The Social Conquest of Earth. 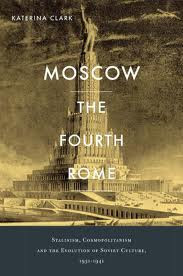 J. Hoberman in Bookforum on Katerina Clark’s book, Moscow, The Fourth Rome: Stalinism, Cosmopolitanism, and the Evolution of Soviet Culture, 1931-1941. Carl Rollyson in WSJ on A.N. Wilson’s book, Hitler. Nick Cohen in Standpoint, "How the Left Turned Against the Jews". Jed Perl in New Republic, "Avant-Garde Persuasions". 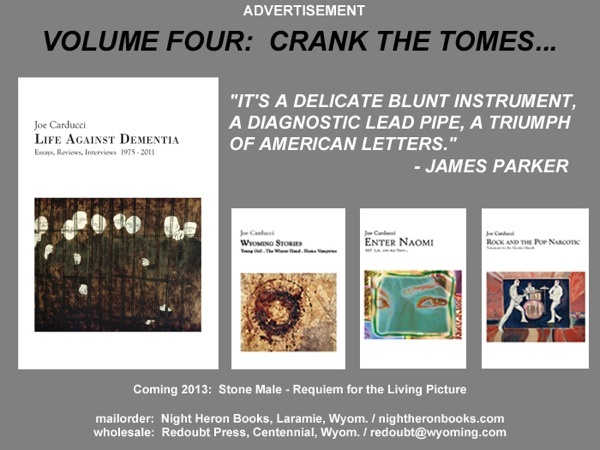 David Krajicek in NYT, "Where Death Shaped the Beats". “An archive of letters and postcards to Carr at Columbia’s Butler Library shows that Kerouac and Ginsberg continued to solicit his approval long after they became famous writers — Ginsberg in intimate, lyrical letters and Kerouac in wisecracking postcards. John Strausbaugh at The Chiseler, "3000 Beatniks Riot". Barry Mazor in WSJ, "A Life Lived as the Other Seeger". "Becoming Johnny Ramone", book excerpt in New York. 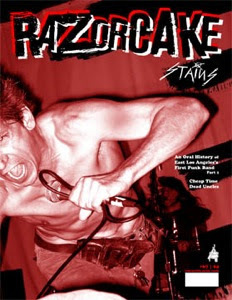 Jimmy Alvarado in Razorcake, "The Stains, An Oral History of East Los Angeles’s First Punk Band, Pt. 1". “Ceasar: I grew up listening to my brother’s albums. He was listening to Pink Floyd, David Bowie, Black Sabbath, Captain Beyond, Yes, and all the Beatles, as was everyone in his generation of music. So there was all this music in our house. My dad and my mom were older -- my mom was forty when I was born -- and they grew up in the swing era, so there was jazz and swing and oldies in my house. If you listen to the music back in those days, the radio stations played everything. If there was top ten, you could have Humble Pie, the Beatles, and then Frankie Valli. Grant Hart Q&A with Brad Cohan in Village Voice. • Saint Vitus - "Let Them Fall"
• Greg Ginn & the Royal We - "We Are One"
• Off! - "Wiped Out"
Sam Leighty at Perfect Sound Forever, "The Pleasure Seekers". Minutemen, Mar. 5, 1983, Philadelphia, “Joe McCarthy’s Ghost”. Thanks to Steve Beeho, Jay Babcock, Chris Woods.